Warri South Local Government Council in Delta State will in the next few weeks organize a two-day maiden economic summit, Fresh Angle International can authoritatively report. This much was disclosed Friday March 23 by Chairman of Warri South Local Government Area, Hon. 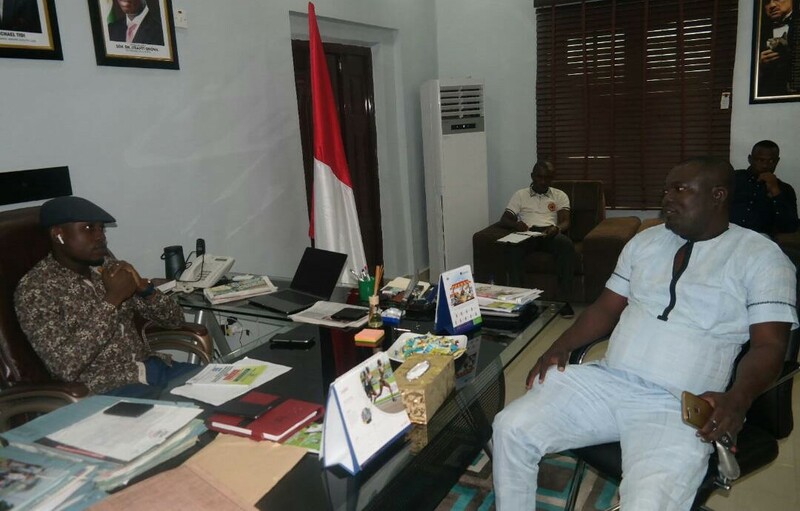 Michael Tidi at his office in the council main secretariat, Warri when he played host to the leadership of Itsekiri National Youths Council, INYC. He noted that his administration was doing a lot to delineate Warri South Council area as well as ensure proper enumeration of shops in the major markets in Warri with a view to perfecting the administrative process and increasing the council's revenue profile vis-a-vis the newly introduced tenement rates for residential areas. While revealing that foremost economist and CEO of Financial Derivatives, Mr. Bismark Rewane alongside top members of the Central Bank of Nigeria, CBN will feature in the planned economic summit, Hon. Tidi asserted that it was time to change the narrative about Warri to reflect its truly investor -friendly status. Hon. Tidi stressed that he's determined to succeed as chairman of Warri South Local Government Area to pave the way for other youths aspiring to attain great heights politically. President of Itsekiri National Youths Council, Comrade Weyinmi Agbateyiniro who spoke earlier, opined that Hon. Tidi has “been able to justify the confidence reposed” on him “for the few time you are in office”. 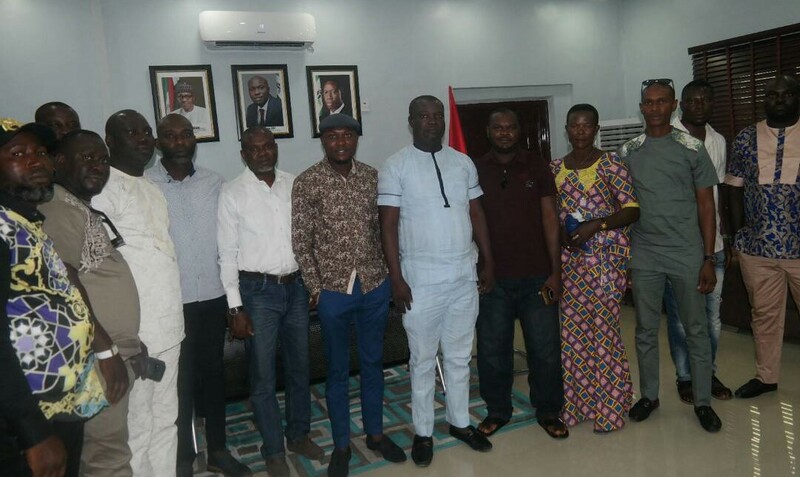 While acknowledging that some INYC members benefited in the recently constituted Warri South Local Government Council revenue committees, Comrade Agbateyiniro appealed to Hon. Tidi to carry INYC along in subsequent empowerments. Fresh Angle International can also report that the Warri South Council Boss who hosted the leadership of Ohaneze Ndigbo, Delta Central and Delta South same day, has stressed the need for the dredging of Warri River so as to revive Warri Port and ultimately boost commercial activities in Warri as well as other parts of Delta State. The Onyeisi Ndigbo, Delta Central and South, Eze (Sir) Peter Chukwu who led the Ohaneze delegation, pledged the support of Igbos to the success of the Tidi administration. Eze Peter Chukwu assured that Igbos living in Warri South will support Hon. Tidi administration's revenue drive, particularly the newly introduced tenement rates, adding that after the Nigeria civil war, evidence of payment of tenement rate helped genuine property owners reclaimed their real estate properties.